Looking for solid financial advice that goes beyond Wall Street talking points? Want a financial advisor who is active in progressive causes like strengthening the union movement, health care for all, and public banking? 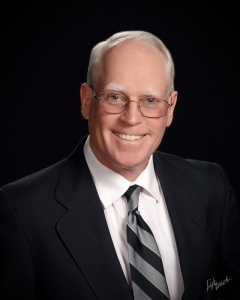 My name is Jim Hannley, and I'm a registered investment advisor in Tucson, Arizona. I have been helping clients manage their money since 1993. This website will tell you more about my services and help you decide if my approach is right for you. The news is full of stories about conflicts of interest in the financial industry such as investment banks shorting the securities that they're also selling to clients. I try in every way possible to avoid conflicts of interest. For example, I don't compensate other firms or individuals for referring clients to me. I also don't receive any benefit – other than client fees – for the services I provide. In addition, I don't seek clients through lists of people who might be good prospects. The majority of my clients come to me via other satisfied clients. See if you're on track for a successful retirement. If you use this tool, it sends me a notification e-mail and I will follow up. But there won't be a hard sell. This is a no-obligation free service. Interested in socially conscious investing? Why not work with an advisor who shares your progressive values? Do you already have an investment portfolio? Is the mix of asset classes appropriate for your risk tolerance? Is it time to rebalance your portfolio? Do you have other questions? I'm required to include this information in this format but I promise that when we speak with each other, I'll use easy-to-understand language, not legalese. Investment Advisor Disclosure: The information on this site has not been approved or verified by the United States Securities and Exchange Commission (SEC) or by any state securities authority. Additional information about Jim Hannley LLC is available on the SEC’s website. Jim Hannley LLC is registered to provide investment advice by the State of Arizona. The firm can only provide this service within Arizona. It is not registered in any other state. Note: Registration as an investment advisor does not imply a certain level of skill or training. Website Disclaimer: This website provides information about the qualifications and business practices of Jim Hannley LLC. The information offered here is for informational purposes only. It is not intended to solicit any action on your part, or to provide you with personalized financial planning or investment advice. In addition, the information on this site should not be construed as an offer or recommendation to buy or sell securities. If you have any questions, call 520-623-3646 or send an e-mail.